Chief Jones began his law enforcement career over 32 years ago with the Greeley Police Department. He has served in a variety of roles to include patrol officer, sergeant, lieutenant and captain. His experiences include working as both an officer and supervisor in Patrol, Investigations, Weld County Drug Task Force, Community Outreach, and SWAT. Chief Jones was promoted to the rank of Captain in 2014 and served as both the Services and Operations Captain before becoming the Police Chief in June of 2018. He oversees the day to day operations of 214 police department employees, which include 157 sworn officers. Chief Jones has a Bachelor of Science Degree from the University of Northern Colorado and is a 2013 graduate of the FBI National Academy, Session 254. Adam Turk is the Operations Division Deputy Chief at the Greeley Police Department. He has been a police officer since 1996 and has served in a variety of assignments during his career to include: patrol officer, field training officer, detective, detective sergeant, SWAT Commander, and Investigations Commander. Deputy Chief Turk has a master’s degree from the University of Northern Colorado and is a graduate of the FBI National Academy, Session #266. Deputy Chief Mike Zeller has been with the Greeley Police Department since January of 2001. Prior to becoming a member of the Greeley Police Department he spent time as a deputy sheriff with the Denver and Grand County Sheriff’s Departments. Deputy Chief. Zeller has served in numerous roles with the Greeley Police Department as an officer, sergeant, and commander including patrol, investigations, special operations, crisis negotiations unit, canine unit, and the regional bomb squad. Deputy Chief Zeller earned a master of public administration degree from the University of Colorado-Denver and is a graduate of the Northwestern University School of Police Staff and Command. Fred Meyer is a Commander at the Greeley Police Department. Fred started his career as a police officer with the Greeley Police Department in 1986, was promoted to sergeant in 1995, then to commander in early 2018. Comdr. Meyer is the Watch Commander over Day Watch, which consists of two work groups; one group works Sunday through Wednesday, while the other is assigned Wednesday through Saturday. When fully staffed, the two shifts field a total of 27 officers. These patrol officers respond to calls for service received through the communications center, among other things. Day shift is also assisted by Animal Control Officers and Public Safety Technicians, who are non-sworn employees. Commander Aaron Carmichael started his law enforcement career with the Arvada Police Department before joining GPD in 2005. Aaron has served as a Patrol Officer, Field Training Officer, Recruitment Officer, GPOA Executive Committee Member, Detective, Patrol Sergeant and Detective Sergeant. He was promoted to Commander in 2018. In addition to Watch Commander duties, Aaron is the Commander of the department’s K9 Unit and manages GPD’s fleet of vehicles. He is also the leader of the GPD Technology Committee, which is constantly looking for innovations to improve the department’s technology resources. Aaron has a Master’s Degree in Organizational Leadership from Colorado State University. Commander Rafael Gutierrez is the patrol watch commander for the platoon B swing and late shifts, working Sunday through Wednesday evenings. He oversees and manages two shifts of officers and four police sergeants. 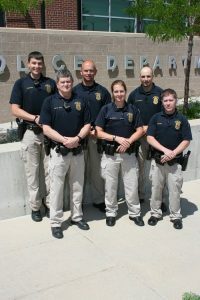 The patrol division of the Greeley Police Department is divided into three primary work units, Day shift, Swing Shift, and Late Shift. 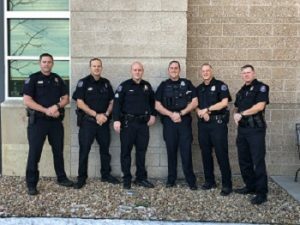 Patrol is part of the Operations Division, the largest division within the police department, with 71 of the agency’s 155 officers assigned to patrol shifts. The patrol officers assigned to these shifts provide the front line police services for the department and respond to citizen’s needs. Through the use of community policing principles and neighborhood patrols, the officers assigned to this division work diligently to protect our community. The officers are highly trained and are held to the highest degree of integrity and honesty. Much of the officer’s time is spent proactively patrolling for crime prevention, enforcing traffic laws, investigation of reported crimes, and supporting compliance with city ordinances, state, and federal laws. Members of the agency’s K9 unit are assigned to the various patrol shifts and help support police operations. K9 Cairo and K9 Freya are currently assigned to Comdr. Gutierrez’ shift. Our officers strive to provide excellent services for our community to help make Greeley a safe place to work, live, and visit. Commander Smith started in law enforcement in 1985 in Wyoming. Smith has been with the Greeley Police Department since 1999. Commander Smith has held assignments in patrol, school resource unit, drug task force, and SWAT. Currently the Special Operations Commander. Promoted to sergeant in 2009, and commander in 2017. Commander Smith has his BS in criminal justice from Colorado Christian University. Commander Roy Smith has been with the Greeley Police Department for twenty three years. During his time with Greeley Police he has impacted the lives of numerous officers and citizens. Comdr. Smith started his career as a patrol officer then moved to a C.O.P unit where he was assigned to the Delta Park Apartments. Comdr. Smith then became a gang detective for t he next 5 years and was promoted to Sergeant in 2006, after being promoted, Comdr. Smith went back to patrol as a patrol supervisor. Comdr. Smith was later transferred back to the Gang unit where he was the Sergeant for 5 years before being promoted to Commander in October of 2014. Comdr. Smith is currently the Commander for the Investigations division. Commander Steve Black is a 33 year veteran of the Greeley police department starting his career in 1985. The Greeley Police Department is the only law enforcement agency he has worked for. Comdr. Black says that he has never had a need to look elsewhere because he has been blessed with the opportunity to “have seen and done it all right here.” Comdr. Black has enjoyed various assignments at the ranks of officer, sergeant, and commander. Those assignments have been in patrol as well as the detective section and the Weld County Drug Task Force. Currently, Comdr. Black is the Commander of the Weld County Drug Task Force (WCDTF) and has been in that position since 2014. The WCDTF or “Task” is a comprised of investigators from the Greeley Police Department, Weld County Sheriff’s Office, and the Evans Police Department. The Greeley PD is the lead oversight agency for the Task Force. Investigators for the Task Force conduct drug related investigation throughout all of Weld County, Colorado, and at times in other areas of the country. Our primary focus is on mid to large size drug trafficking organizations. The Operations Division is responsible for Patrol, which includes Day, Swing and Late shifts, the Bomb Unit, Field Training Officers, K-9 unit, Animal Control Officers, Public Safety Technicians and School Crossing Guards. Patrol also entails Special Operations that includes, Neighborhood Action Team (NAT), School Resource Officers (SRO), Special Enforcement Team (SET), the Traffic unit, SWAT and the Crisis Negotiation Unit. The Operations Division has four commanders as well. The Greeley/Weld County Bomb Squad was created in 1973. 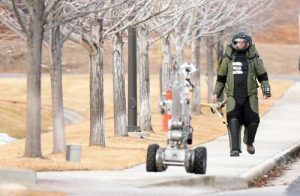 Since the bomb squad’s inception in 1973 it has grown to having six certified explosive ordinance disposal (EOD) technicians and one para technician. The Greeley/Weld bomb squad is F.B.I. accredited. We are recognized nationally as a regional bomb squad and service the following counties: Weld, Morgan, Logan, Washington, Yuma, Sedgwick, and Phillips. This region adds up to over 13,000 square miles, a population of 324,000 and 36 law enforcement agencies. The Greeley/Weld bomb squad provides training for first responders in the counties it serves. This training includes but is not limited to: homemade explosives, evacuation protocols, bomb squad equipment/availability and first responder responsibilities on a suspicious package call. In the event of a terrorist attack in our region the Greeley/Weld bomb squad would be called upon to deal with any type of explosive device. The Greeley/Weld bomb squad is frequently called upon to assist with special events in our region including recent visits by the President of the United States, Vice President of the United States, cabinet secretaries, and major party political nominees. The intent of the Special Weapons and Tactics Program is to provide the police department with tactical response capability at emergency incidents beyond the scope of normal patrol operations. The Greeley Police Department Crisis Negotiations Unit is comprised of ten members. The members receive specialized training in negotiation skills, communication skills and behavioral analysis. 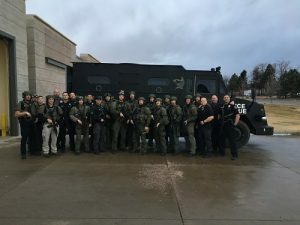 The team responds in coordination with the Greeley Police Department SWAT team when needed and responds to people in crisis on a regular basis. CNU is a collateral assignment within the Greeley Police Department so it is staffed with officers that work in all areas of the agency. Team members continually develop their skills training with the SWAT team as well as other negotiators to stay up on current negotiating trends. The Neighborhood Action Team specializes in proactively solving chronic and complicated problems within the community by partnering with non-profit, government, and business organizations. They are responsible for community outreach and engagement accomplished by hosting and participating in special events and utilizing social media. They manage a variety of programs designed to empower and enrich our community including the Shoplifter Task Force, College and High School internships, and Operation Safe Stay. The primary goal of the Department’s police traffic management program is to promote the safe and expeditious flow of vehicular and pedestrian traffic through effective and efficient traffic law enforcement and delivery of police traffic related services designed to reduce traffic collisions and their resultant fatalities and injuries. The Traffic Unit has authorized staffing of one Sergeant and seven Officers. Traffic Officers use motorcycles, marked police vehicles, and unmarked police vehicle to enforce traffic laws. The School Resource Officer Program (SRO) works collaboratively with the school district to reduce crime, improve campus safety, and provide a safe and healthy learning environment. The unit is made up of five specially trained officers and one Sergeant. The SROs provide excellent police service to 30 schools, and over 20,000 students. The principal focus of the unit is to ensure the safety and security of our children. However, the SROs spend the vast majority of their time building rapport with students and providing informal counseling. They frequently teach classes on the dangers of texting and driving, alcohol and drug abuse, and the importance of reporting criminal activity. The police canine provides many valuable services including criminal apprehension, evidence and contraband detection and public relations activities. The primary function of a police service dog is to locate suspects and detect illegal narcotics. The use of a dual purpose police service dog (PSD) provides officers with a tactical advantage when searching for criminal suspects. This advantage provides for the rapid detection of criminal suspects and the protection of officers thus assuring the safety of the community. 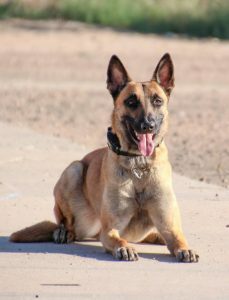 The application of a police service dog for the immediate apprehension of a suspect or for the immediate safety of the officer or general public may be required. The men and women in uniform are visible throughout the city and ready to respond to the public’s calls for service. We have sworn officers along with Public Safety Technicians. We currently have four sectors dividing the city Sector A (North Greeley) Sector B (South/East Greeley) Sector C (West Greeley) and Sector D (Downtown Greeley). Our patrol officers are equipped with fully marked patrol vehicles. If you have a non emergent crime you may see one of our Public Safety Technicians responding. Here at the Greeley Police Department we pride ourselves in customer service and community-oriented policing. The Support Services Division is responsible for providing the administrative and investigations functions of the police department. We maintain records and evidence for both the Greeley Police Department and the Weld County Sheriff’s Office. In addition we assist the Chief of Police with budget preparation and oversight. We manage the recruitment, personnel, and training functions for the organization. The division provides investigative support to the agency through the criminal investigations section and the Weld County Drug Task Force, which are each led by a police commander. The mission of the Training and Personnel Section is to recruit, hire, and train the best law enforcement officers in the State of Colorado. The Training and Personnel Section has three sworn and one civilian employees. The Section is led by Sergeant Jason Edwards.The Training and Personnel Section is responsible for the recruiting and hiring of all sworn and non-sworn personnel within the Police Department. In addition, the Training and Personnel Section is responsible for the planning and development of training programs, notification of personnel of required training, monitoring of attendance, implementation of training programs, selection of instructors, and evaluation of training programs. 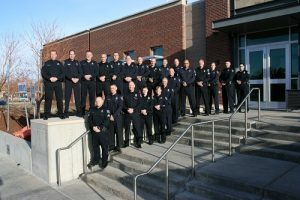 The Training and Personnel Section insures that the department maintains compliance with Colorado Peace Officers Standards and Training rules and regulations. 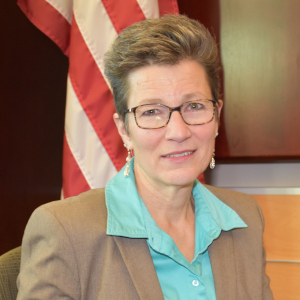 Records Manager Susan “Susie” West began her career in law enforcement working in records at the Adams County Sheriff’s Detention Center in 1991. Susie became a sworn officer in the fall of 1992, obtaining her certification in January 1995, serving with the Evans Police Department, they Weld County Drug Task Force, and the Greeley Police Department. When medical issues forced her retirement from the sworn side, and she returned to her roots, now managing Greeley/Weld County Criminal Justice Records and Evidence. 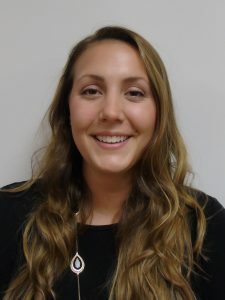 Susie is a graduate of Franklin University with a degree in Forensic Accounting. For all your records requests please see the records tab. The Financial Unit is managed by Lindsey Ulrich who reports directly to the Services Division Deputy Chief, Michael Zeller. The Financial Unit is responsible for accounts payable, accounts receivable, payroll, purchasing, budget control and officer equipment inventory. The unit also prepares the biennial budget with the support of the command staff. 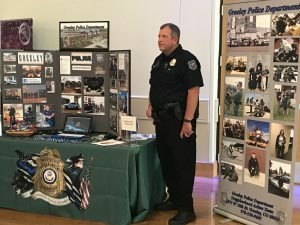 Lastly, the Greeley Police Department in constantly seeking grant opportunities to continue to be fiscally responsible; therefore, the unit also manages state, federal and private grants.